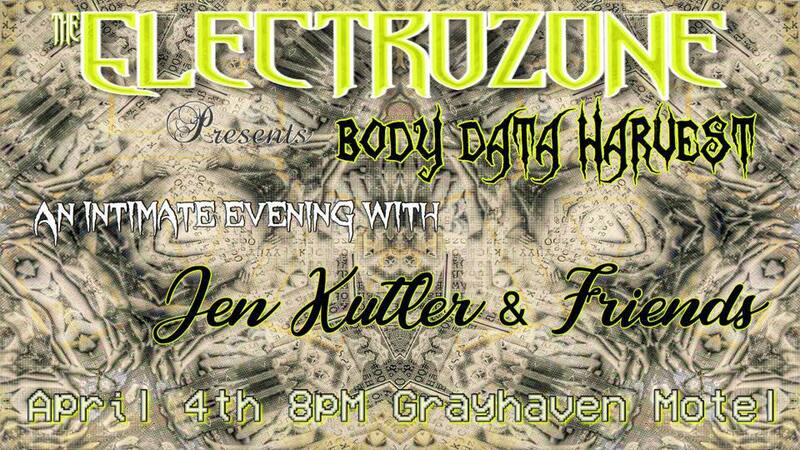 Fresh off the heels of Ode to Spring Reverb comes Body Data Harvest featuring Jen Kutler! is a multidisciplinary artist and performer. She modifies found objects that are cultural signifiers of power, gender, queerness and intimacy to create atypical instruments and sculptures. Her performances feature many of her instruments incorporated with immersive field recordings to explore common and discrepant experiences of familiar social tones in immersive sound and media environments. Travis Johns is a sound artist residing in Ithaca, NY, whose work includes performance, installation and printmaking, often incorporating electronic instruments of his own design. Active in the San Francisco Bay Area experimental music scene for several years, Johns moved to Costa Rica in 2011 where he collaborated extensively with visual artist Paulina Velazquez-Solis on Raro, an immersive sound and sculpture installation that represented Costa Rica in the 2013 Biennial of the Central American Isthmus (BAVIC). Since returning to the states, first to Baltimore and later to Ithaca, he’s continued to apply his trade as a composer, educator and sound artist under the nom de plume of VauxFlores. Tapes, Trax, and other Trix! Sure to delight!